Father’s Day is just like my kids…sneaky, sneaky, sneaky. Sometime after Memorial Day and wrapping up the school year, SURPRISE! It’s Father’s Day! The kids and I are trying to plan ahead. Their dad is the best ever (seriously, he is! ), and we want to make sure that he knows it! 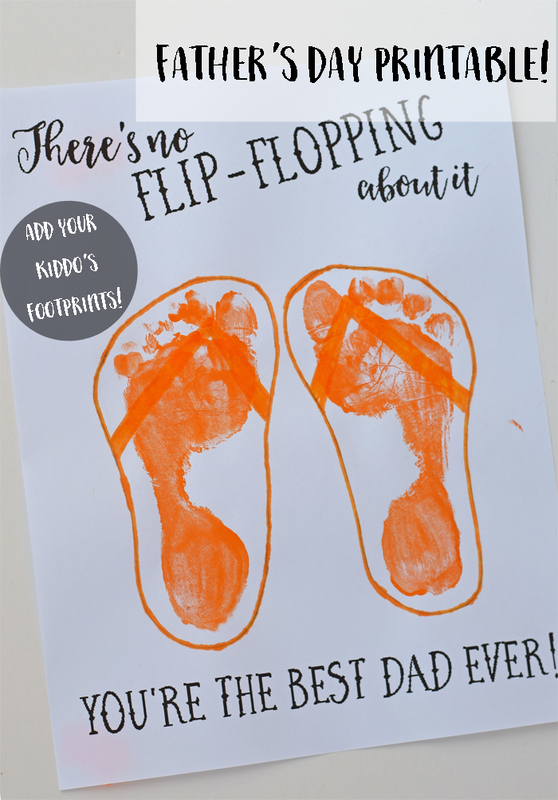 In fact, that’s just what this Flip Flop Father’s Day Printable and Kid’s Craft says! Grab this printable for free today. Note that the printable does NOT have the footprints on it (because, honestly, why would anyone else want my kid’s footprints?). 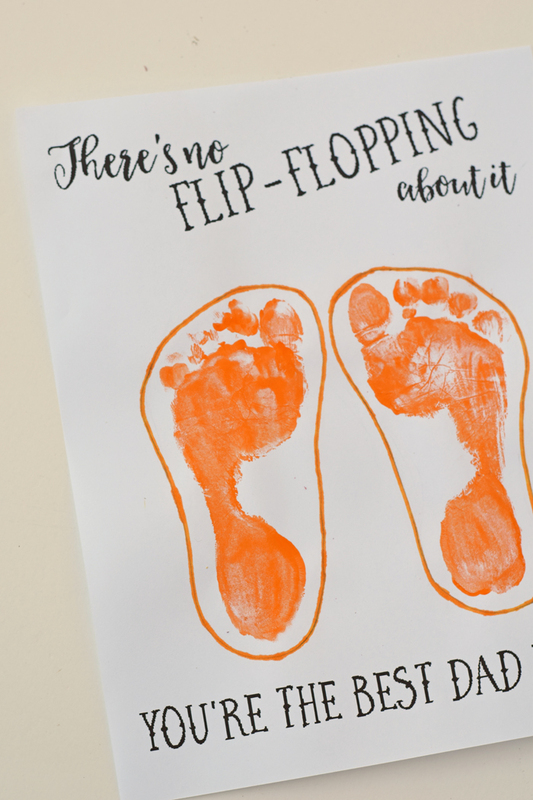 The printable comes with just the words, and your kids add their own footprints. 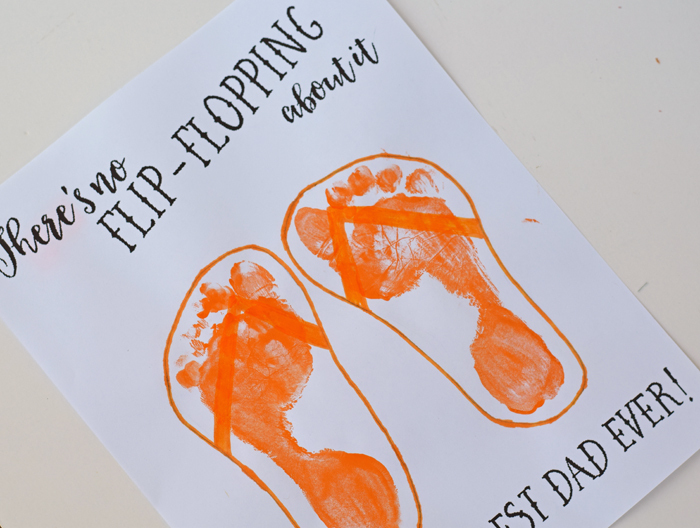 Older kids can help draw the flip flop shapes around the prints, while an adult may need to help the younger kids. 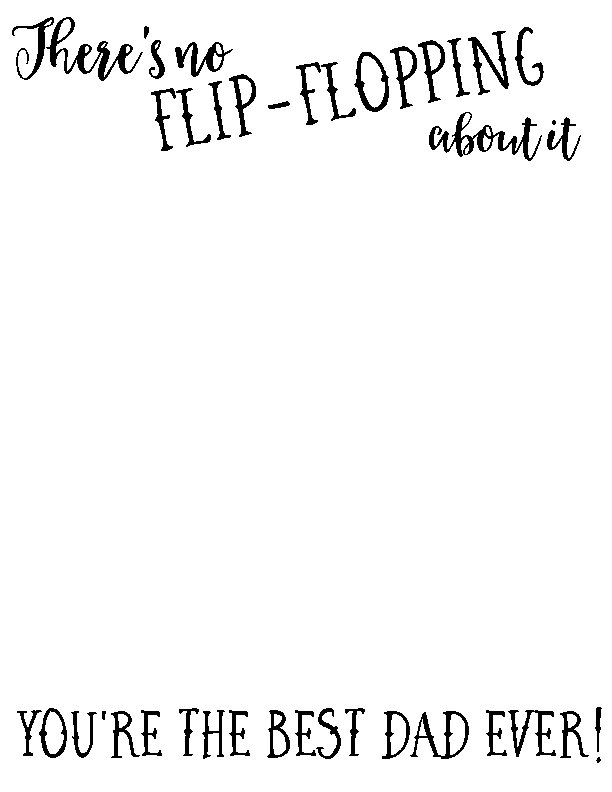 Print off the below flip flop printable. In order to do so, right click on the below image to save it to your computer. Print it off using your photo software like you would any other photo. Be sure that the image is sized to print on printer sized piece of paper. Lay down plastic. Use the paintbrush to paint on the bottom of your kiddo’s feet. Have them place their feet in the middle of the printable. You can do this one foot at a time or both feet together. 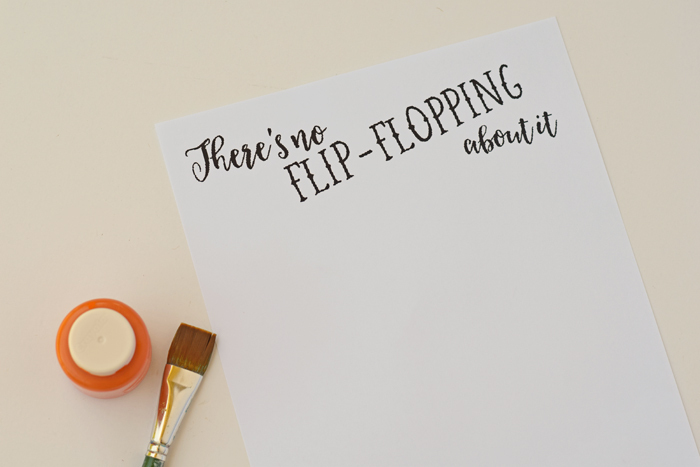 The plastic is so that when your child steps off the paper, he or she can place their paint feet on something that’s not your floor. Wipe the child’s feet off and let the footprints dry completely. Optional: Take a pencil and lightly draw a flip flop shape around the footprint. If you’re a great artist, then you can skip this step. Draw over the pencil with the marker. Make the straps at the top to complete the flip flop. Add to a frame to make a great gift from child to dad!